Always be prepared when taking your dog for a walk with the Doo Bag pick up bag carrier. Being a responsible pet owner means planning ahead, but sometimes you may be in a rush without time to grab everything you need. This is where the Doo Bag is a real life saver. 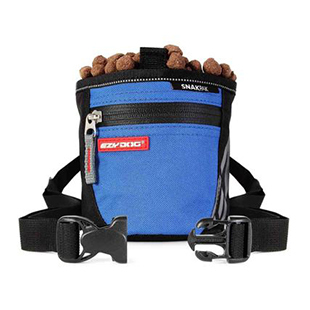 The Doo Bag from EzyDog is an excellent travel companion for your EzyDog Leash. Just attach the Doo Bag to any EzyDog Leash to store an individual or a full roll of pickup bags. 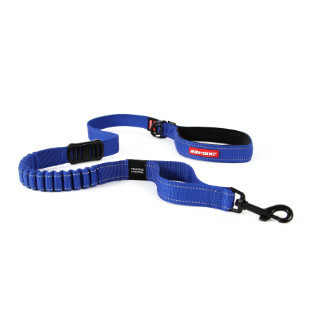 The Doo Bag will easily attach to the leash with the Velcro straps. It features an elastic opening for quick access to pick up bags. There is even an extra storage pocket and a key clip for stowing additional items. Never be caught without a pickup bag when keeping the EzyDog Doo Bag attached to your leash. Just grab and go knowing you are a responsible pet owner!